The Lancaster City Council met for its Regular Meeting on Wednesday, October 11, 2017, at 7:00 p.m. in the City Hall Meeting Room. The following members were present: Olson; Sebenaler, Bowlin and Hilman and Nordin. Sebenaler moved to approve the Council minutes of the September 13, 2017 regular meeting second by Bowlin and carried. A copy of the Minutes will be posted at the Lancaster City Hall and U.S. Post Office and available upon request to the clerk. The council reviewed the October 2017 bills presented this night; any other bills that have been paid prior to this meeting to avoid late payments, receive discounts & meet payroll and all payroll expenses as approved in the 2017 Rates Fees & Appointments Schedule. Hilman moved to approve the bills, second by Nordin and carried unanimously. An abstract of bills will be posted with the minutes and are available upon request to the clerk. Shannon Hunstad, Lancaster School Superintendent, met with the council to discuss the safe routes to school grant that he is interested in applying for. The council is in support of a grant and will look into helping with the grant writing process. Hilman moved to approve a donation request from the Hallock Eagles Gambling fund for the fire department, second by Bowlin and carried. Nordin moved to request a donation from the American Legion Post #214 gambling fund for fire department equipment, second by Sebenaler and carried. Council reviewed various payroll options for 2018. Hilman moved to adopt a 12 step payroll system for 2018 with 1.5 Cost of Living increase, second by Bowlin and carried. The council reviewed a proposed revision of the Fair Housing Ordinance. Sebenaler moved to post notice of the proposed discussion and approval of the revised Fair Housing Ordinance at the next council meeting, November 8, 2017 at 7:15PM, second by Hilman and carried. Clerk reported that the League advises that if any of the old ordinances can be retyped and formatted to the Livable City Code format then that is allowable. Clerk will try to reformat some of the ordinances prior to adoption of the Livable City Code. City has received final approval from MN Department of Natural Resources of the Floodplain Ordinances and notice that all requirements have been met to allow persons within the floodplain in the City of Lancaster to purchase flood insurance. Clerk reported that city attorney is in the process of appointing the Personal Representative for the Barbara Hannson Estate. 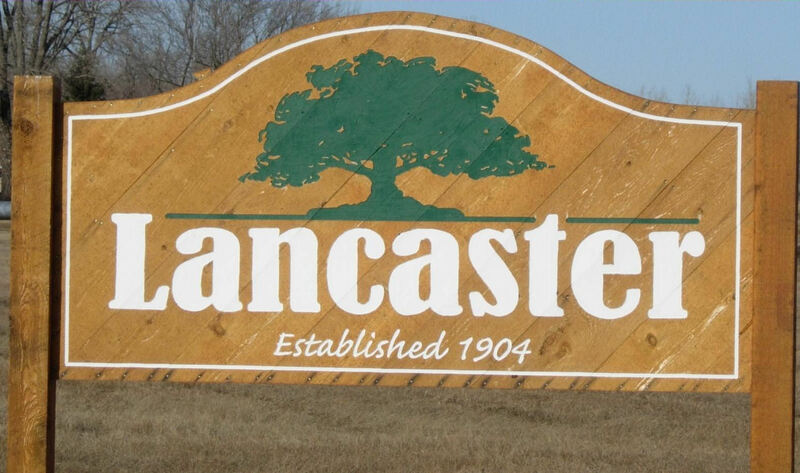 This would allow the city to complete the offer for the property in Lancaster by the fire department. Olson reported that the estimate on retucking the PodCo building was $20,000-$24,000 and at this time the fire department is not interested in purchasing the PodCo building. Council discussed mailbox placement issues and at this time the city will not be taking any action. Council also reviewed Council reviewed the September 2017 City and Liquor Store financial information. Sebenaler will work on a trail map for the Highway 59 Park. Council discussed whether they would be able to accommodate Kittson County Courthouse offices if the court house was unable to function in the Community Center. If the city agrees they would need to execute an agreement now with no ability to back out. This would complicate the cities other rentals with wedding receptions etc. At this time the council did not agree to the request but would be willing to help if at the time of a disaster the Community Center events were able to be rescheduled or moved. Received notice from Two Rivers Watershed hearing on November 1, 2017 at 8:00AM regarding proposed changes to the Rules of the Two Rivers Watershed District. Council reviewed the letter of support to Kittson County Engineer regarding reconstruction of CSAH 27 from Central Avenue to US Highway 59 by Bernstrom Oil Company. Being no further business the council adjourned.